Onko sinulla kysymys kohteelle Nathan Hotel? Nathan Hotel sijaitsee alueella Jordan kohteessa Hong Kong, ja on suosittu matkailijoiden keskuudessa. Tämä 4-tähden hotelli houkuttelee matkustajia sijainnillaan: 0.5 km päässä kaupungin keskustasta ja 34 km lentokentältä. Hyvin hoidettu ympäristö ja nähtävyyksien Wing on Department Store (Jordan), Yau Ma Tei Tin Hau Temple, Tin Hau temppeli läheisyys antavat tälle hotellille ainutlaatuista charmia. Hotellissa Nathan Hotel loistava palvelu ja erinomaiset tilat tekevät vierailusta unohtumattoman. Tämä hotelli tarjoaa lukuisia palveluita tyydyttääkseen jopa kaikkein vaativimman vieraan. Hotellista Nathan Hotel löydät 189 tyylikkäästi sisustettua huonetta, ja monista niistä löydät mukavuuksia, kuten taulu-tv, puhelin kylpyhuoneessa, kokolattiamatto, naulakko, maksuton pikakahvi. Olitpa kuntoilija tai etsit tapaa rentoutua rankan työpäivän jälkeen, sinua viihdyttävät huippuluokan vapaa-ajanviettomahdollisuudet, kuten kuntosali. Erinomaiset mukavuudet ja loistava sijainti tekevät hotellista Nathan Hotel täydellisen tukikohdan, jossa voit nauttia oleskelustasi kohteessa Hong Kong. Vieraiden vähimmäisikä on 4 vuotta. Varattaessa 6 tai useampaa huonetta, eri käyttöehdot ja mahdolliset lisäykset saattavat päteä. Nathan huone on hiljainen, siisti ja sänky todella hyvä. Taidettiin nukkua parhaimmat yöunet ikinä. Sijaintikin hotellilla hyvä ja aamupala myös, joten hyvä valinta. Ainut miinus on hinta. Hotelli oli siisti ja vastasi tarpeitamme tosi hyvin. Tarjosivat ensin meille huonetta jossa oli tupakoitu. Mutta saimme seuraavana päivänä toisen huoneen. Hotelli oli siisti ja vastasi tarpeitamme tosi hyvin. Sijainti oli tosi hyvä, bussipysäkki ihan vieressä ja pari metroasemaan kävelymatan päässä. Palvelu hyvää ja väsyneet tulijat saivat huoneen puolilta päivin ja sitä ennen saimme torkkua laungessa. Aamiaisella sai vatsan täyteen, kun kokki paistoi maukasta munakasta =). Kaikin puolin hyvä hotelli. the hotel staff are very helpful! there was renovation work during our stay; and they moved us to quieter room as we are light sleepers. Thank you very much for your staying at Nathan Hotel! We are glad to know that your staying experience was more than satisfactory which made your stay with us more enjoyable and memorable. We look forward to welcoming you back to Nathan Hotel soon! Thank you very much for your staying at Nathan Hotel. We would like to extend our sincerest apologies that in some particular aspects we were unable to meet your expectations and that we will make our utmost efforts to improve the situation and make genuine amends. We sincerely hope to have another opportunity to welcome you back at Nathan Hotel so that we could make your next trip a better stay. I used to stay at an international chain 100 meters away from this hotel but this time i decided to try something new and surprised at the room size (although they upgraded me to a bigger room) but for the price i paid for this so called executive floor room was far better than the Accor based hotel 100 meters from this property The Accor based hotel rooms are smaller (@ the same executive floor level). The hotel is very strategically located near eateries and stations to get to places. The staffs are well mannered and helpful. The breakfast is simple but sufficient. Very pleasant stay for 15 of us traveling in a group. The hotel entrance looks small with a Starbucks adjacent to it. 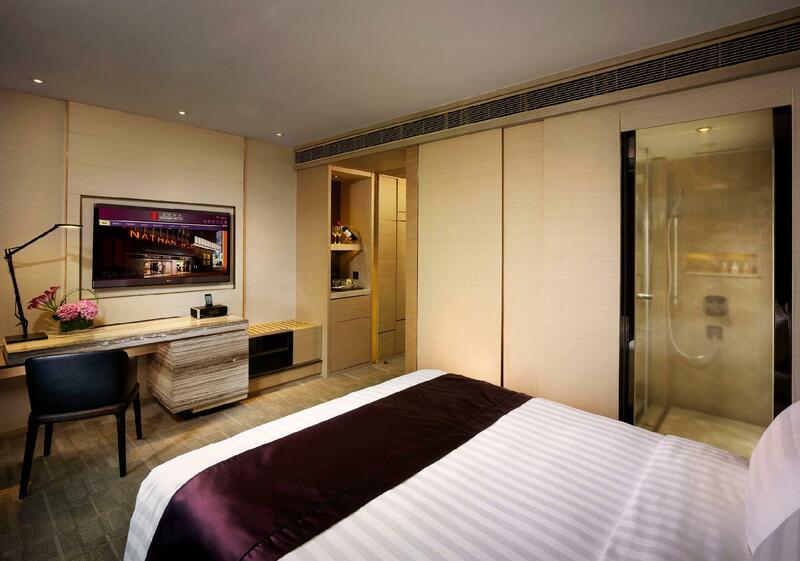 However, the renovated grand king rooms are spacious modern and very comfortable. The staffs at front desk are nice polite and helpful. Breakfast is simple with small variety of local and western choices plus one tiny egg station. Enough to get one started in the early morning. 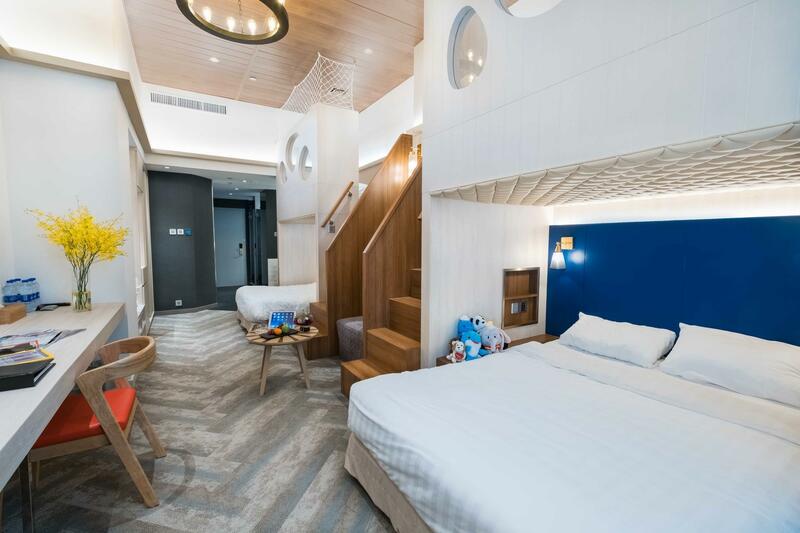 Location is the winner within minutes walk to Jordan MTR and Temple Street night market a couple of streets away. Great choice for those looking to explore local food and the old Hong Kong in Kowloon. Good location with 7-11 just downstairs, about 6 mins walk to the subway. Nearby has lots of shops cosmetic, clothes, electronics, restaurant etc. You won't need to worry about breakfast as there is some local restaurant nearby too. Staff is very fluent in english and chinese, very helpful. There is also a bitcon machine at the lobby where u can buy . There are 4 lifts (2 at lobby, 2 at the back) so you dont have to wait for long. Thank you very much for your staying at Nathan Hotel! We are glad to know that your staying experience was perfect which made your stay with us more enjoyable and memorable. We look forward to welcoming you back to Nathan Hotel soon! First time staying in Nathan Hotel and it exceeded our expectations in terms of the overall experience and service. 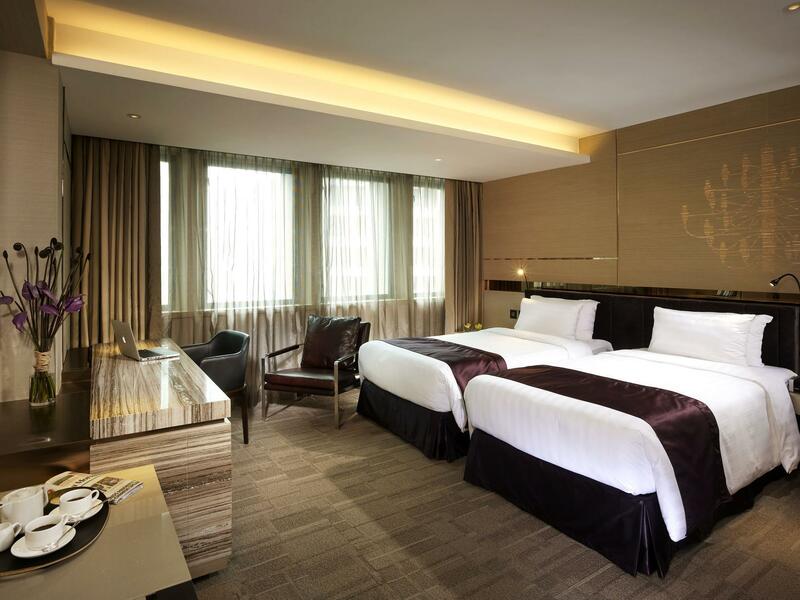 We got 2 smart rooms (for 3 pax & 2 pax) which are spacious for HK standards and the price paid. Was pleasantly surprised to find out that it comes with free smart phone usage of data as well as international and local calls. Great location near Jordan MTR as well as Yau Ma Tei. Excellent staff service who readily helped us with our queries. When we departed hotel to airport, concierge staff also advised us to take the free shuttle bus service to Kowloon MTR station (2 bus stops away) to drop off our luggage at the city check in counter. Would stay here again the next time we're in town. Dont go to the fresh seafood fishing villages, unless you’ve provided yourself with enough cash to pay for a flight to the moon. Temple street is better, faster and cheaper. Enjoy a Blue Girl beer. My children like the hotel so much, everything’s good. 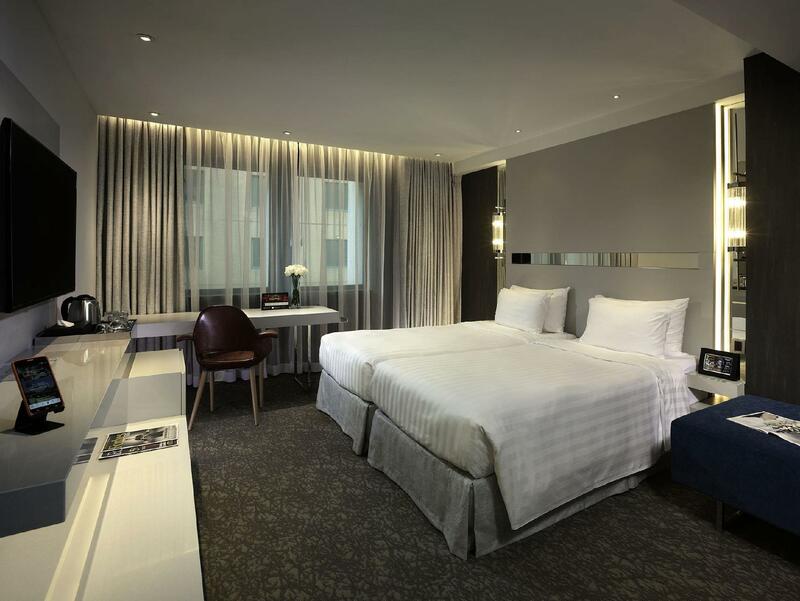 Cleanliness, good service , free handy wifi phone to bring out , free luggage storage and the design of the hotel. Thank you Nathan hotel and provide me a memorable card and fruit plate for our anniversary. All my children are enjoy staying in Nathan hotel, walking distance to Jordan Mtr, service is good, cleanliness and nice hotel. Free handy wifi and storage luggage. Every is good. Thank you Nathan provide us a memorable card and fruits for our anniversary. 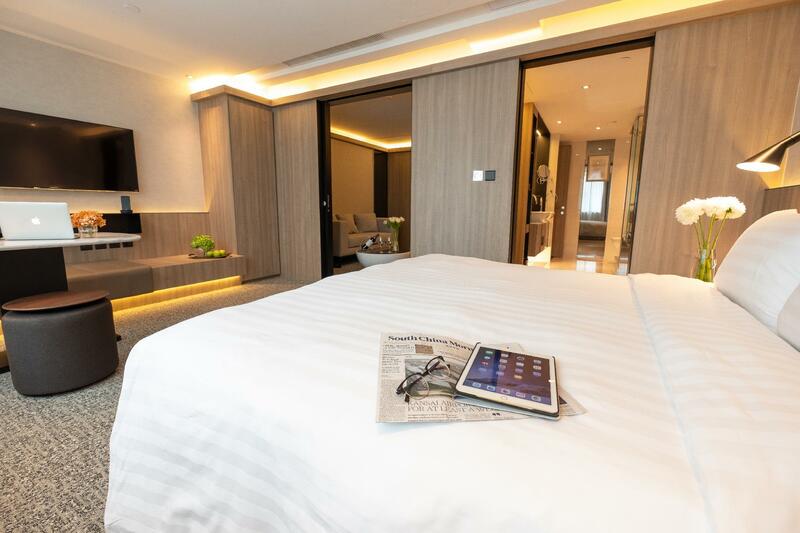 Location walking distance to all e shopping areas, but not at mtr station. Family room was huge and fantastic. Double room were small like all other hotel in hk. They provided complimentary breakfast for family room, don't remember it being part of our deal. So plus point there. Rooms and interior newly built/renovated, so everything was nice. But some items showing signs of wear and tear eg. Bathroom door not as smooth when rotating etc. Amenities were great 3 kinds of towels per pax, plus disposables available should you require them. Ground staff service was great (reception, bell boy etc). Overall, will highly recommend to others. We had 5nights here. Best location. Beside hotel has 7-11, Starbucks , cha chan thng, Surrounding with good restaurants, shops & 2-3mins walking distance to MRT station. 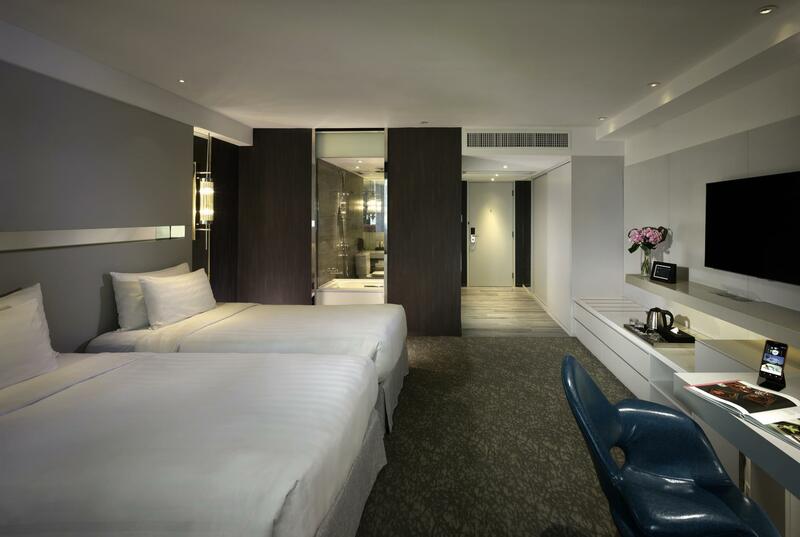 Our room package come with lounge access , not recommended as only drinks and 2 choices of desserts. The room is big but the pillows are not comfy. Bad thing was during our check in, we reached at 4pm+, the room is not yet ready, the staff told us wait for 30mins & they will call us once ready, however after 40mins nobody call us and we went down to lobby, the staff told us the room only availabke another 40mins, Means around 5:30pm !!!! It’s so unacceptable for a 4-5stars hotel. Furthermore the staffs didn’t feel anything wrong of it. Perfectly situated in front of the bus stop and with the MTR just a few blocks down, it made going around very easy for us. The staff were very accommodating! Definitely our hotel of choice for future trips! One of the best hotels I've ever stayed in. Excellent service. Included a courtesy mobile phone with wifi. Nice gym. Very clean and modern. Very spacious rooms. For sure I would stay here again. I also stayed at Best Western in Hong Kong and this was 100x better. 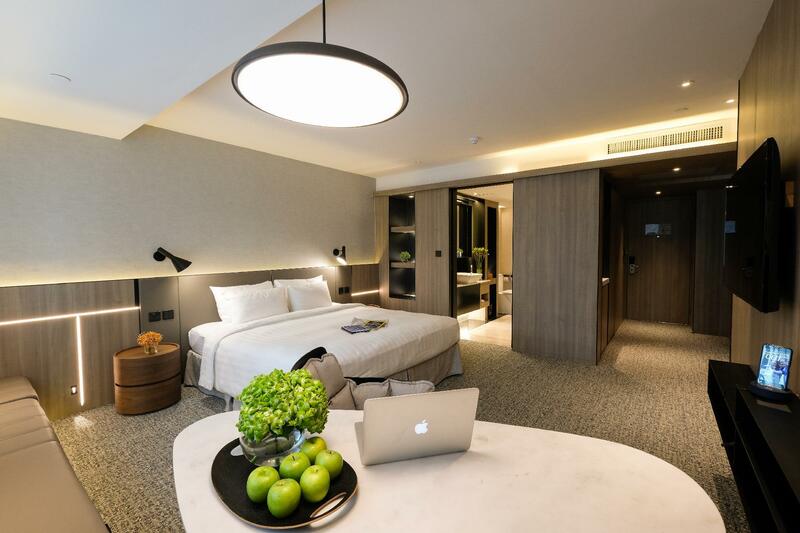 Located on Natan street, 2 min walk from the Temple street and the night market, surrounded with lots of shopping and dining option, you can be located more centrally than this hotel. We were a family of 5 and booked 2 rooms. Ask for connecting door and got it. the rooms were very big. for one we needed an extra bed that was added and was a convenient one. All was very clean and all amenities were great. Staff was very helpful and accomodating. Breakfast is a mixture of Chinese and Western. one thing I didn't like is the cost that was quoted when I asked for a transfer to the airport... we were quoted 700$ when we eventually booked one from Klook and paid 480$! Thank you very much for your staying at Nathan Hotel. We are glad to know that your staying experience was perfect which made your stay with us more enjoyable and it is our great pleasure to share your comments with our team. Meanwhile, please feel free to contact our Guest Service team if we can offer further assistance. We look forward to welcoming you back to Nathan Hotel soon. Jordan MTR Station on 0.38 km.